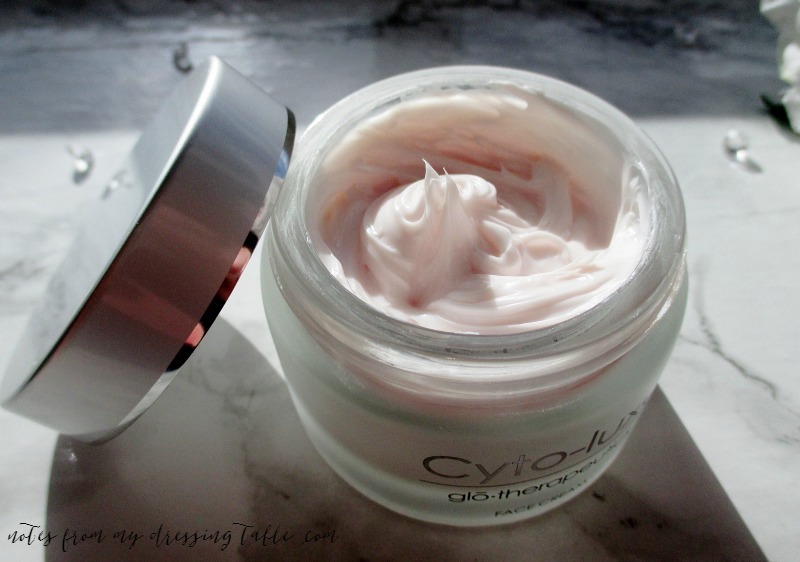 From Glo Professional comes Cyto-Luxe Face Cream. This rich, luxurious anti-aging cream promotes Collagen and Hyaluronic Acid production to help counteract the effects of time. Infused with the ultimate combination of plant stem cell technology and a supportive cascade of actives designed to promote healthy skin cells and preserve a youthful radiance. 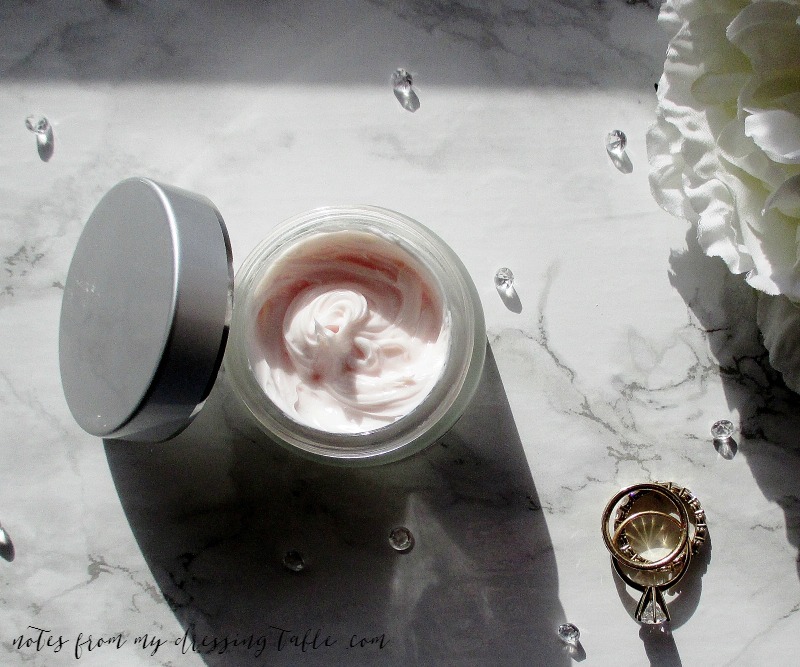 Packaged in an elegant, heavy frosted glass jar with a sleek silver toned lid is a thick, rich, lightly rose scented cream that contains shea butter, coconut squalane, glycerin, natural beneficial oils and skin loving plant extracts that deeply hydrate and replenish my complexion. Evening, after cleansing, I like to lightly spritz my face with my Cyto-Luxe Toning Mist, (yes, I am still obsessed with this stuff!) apply my fave serums and eye cream then smooth a little of my Cyto-Luxe Face Cream across my skin then gently press and tap it in while I enjoy the lovely, soft rose scent before it dissipates. This cream is rich! Only a small amount is needed to deeply hydrate, plump and pamper my complexion, leaving it looking and feeling so soft, smooth and fresh, in the morning. Do you use skin care from Glo Therapeutics Clinical Skin Care? 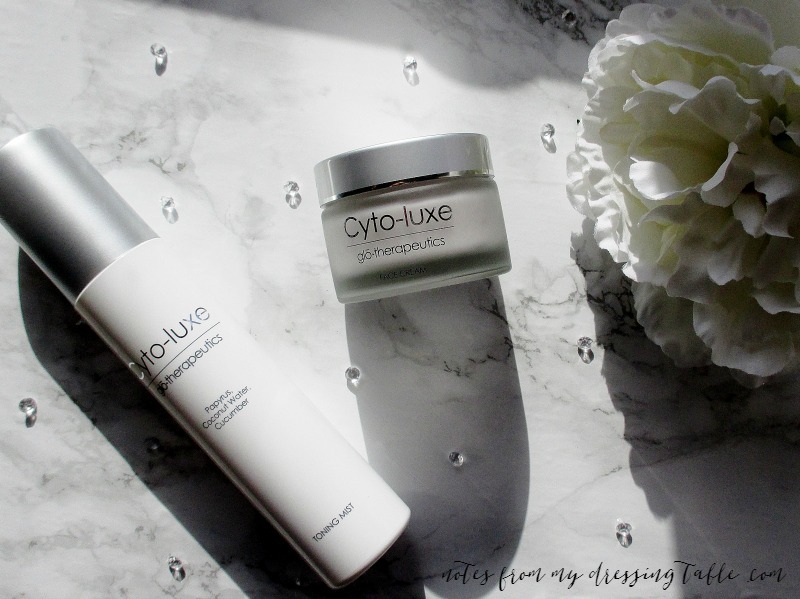 Have you tried the gorgeous Cyto-Luxe Face Cream or my favorite Toning Mist? My experience with these beautiful products lets me recommend them without reservation. Glo is social. Like them on Facebook, follow on Twitter and Instagram.